We Know You Love Being At the Heart Of Quality Healthcare! 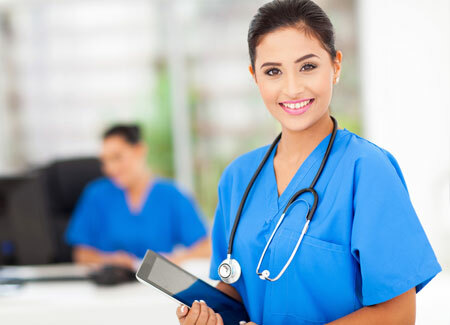 AccentCare offers many nursing career specialties including registered nurses (RNs), licensed practical nurses (LPNs), behavioral health nurses (BHNs), specialty certified nurses, and transition care managers. Our nurses regularly partner with other clinicians, support teams and other caretakers to help ensure the patient receives quality care. A Commitment To Service & Quality. Home healthcare nurses provide follow-up care to patients after they have been discharged from a hospital or rehabilitation, skilled nursing, or long-term care facility. At AccentCare, our nurses spend quality 1:1 time building a relationship with each of their patients, and are committed to service and quality that shows in our compassion and in positive patient outcomes. Work At The Top Of Your License. Working in the field offers you a relatively autonomous practice where you will be focused on case navigation and the application of critical thinking skills to help care for your patients. As a home healthcare nurse, you get to see your patients through their full recovery cycle, with meaningful responsibility for directing their care and its complexities. Home care offers you the opportunity for more flexibility than in a traditional work setting, allowing you to manage the your time more freely. At AccentCare, the Transitional Care Program provides services to clients that are at a high risk for emergent care or unplanned re-hospitalization. The transitional care nurses know how to seamlessly transition patients from an acute care setting and to the next level of care, helping to ensure safety and resolving critical gaps. Whether the transition is from hospital to home, a rehabilitation center or to a skilled care facility, our nurses understand the importance of “bridging the gap”. They carefully coordinate details between various healthcare providers involved in the patient’s care to help ensure a comfortable and positive experience for their patients. We Believe in Compassionate Care. It’s never easy when a patient is diagnosed with a life-limiting illness. When the goal of treatment has transitioned from restorative to palliative, our AccentCare hospice nursing team is exceptional at delivering compassionate care to their patients as well as a support to their families. Our hospice nurses address the medical, social, emotional, and spiritual needs of the patient. In short, they work tenaciously toward symptom management and improving quality of life. Treatment for behavioral health conditions in home care patients, often occurs concurrently with physical illness. As part of the comprehensive care we provide, our Behavioral Health Nurses help to treat our patients coping with a variety of mental illnesses, such as dementia, depression and Alzheimer's disease. As a home health care professional, you will work one-on-one with your patients to provide them the customized care they need. 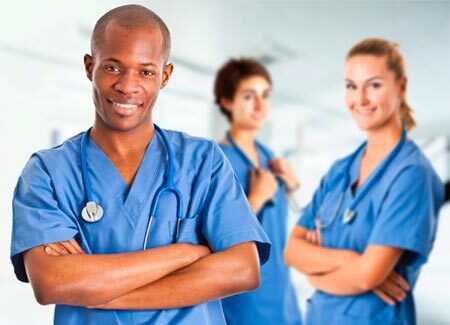 Under the guidance of your supervising physician, you will develop plans of care and utilize nursing theories, skills and techniques to provide quality care to your patients. At AccentCare, we equip our staff with state-of-the-art technology utilizing tablet devices for patient care treatment planning and documentation, on-the-job training and team coordination. After working with a patients on an ongoing basis, every therapist knows that feeling of excitement that comes from seeing them finally reach that long sought-after goal. From the moment you meet a patient, you understand the importance of their care plan and the need to partner with other clinicians and caregivers to help ensure the targeted outcome. At AccentCare, our therapists are able to spend quality 1:1 time with each of their patients, allowing a strong rapport to be formed through mutual trust and understanding. This valuable relationship allows the therapist to focus on helping patients improve mobility, restore balance, regain function, relieve pain, and most of all to give them more independence. They do so in a variety of specialties including physical therapy, occupational therapy and speech language pathology. Our state-of-the-art technology helps to position our therapists for success by allowing them to efficiently document client care and provide relevant on-demand access to patient information without sacrificing time or patient well-being. In addition, our therapists have access to an online software program, enabling them to build customized exercise regimens for their patients. The typical workday of an AccentCare therapist is 8:00 a.m. to 5:00 p.m., but in contrast to a hospital environment, a career in Home Health offers you flexibility that you may need during the day. Our therapists aren’t confined to a traditional office environment. Rather, they are out-and-about during the day, learning the ins and outs of their particular city or town, and collaborating with an interdisciplinary team of healthcare professionals to achieve patient success. AccentCare as a Thought Leader. In order to help our patients return to a life of independence as quickly as possible, our team is committed to providing the latest treatments, technology and therapeutic practices. Our therapists provide care for a diverse range of patient types including rehabilitation, joint replacement therapy, neurological therapy, and geriatric care. Our positions of clinical leadership allow you to utilize your experience through direct oversight of your team of talented clinicians who are committed to delivering quality patient care. 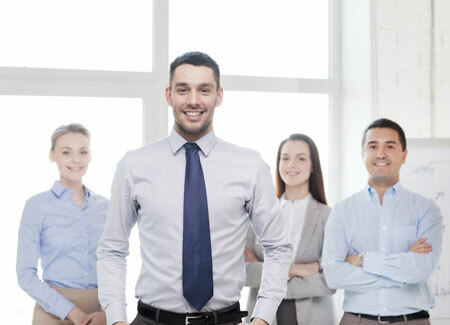 We expect our leadership team to provide excellent customer service, proficiently manage and organize daily tasks, and have the ability to motivate a team to achieve the results needed to be successful. Your passion, dedication and drive will help impact the lives of not only your staff, but also the lives of the patients and families who are in our care. At AccentCare, we equip our staff with state-of-the-art technology utilizing tablets and other devices for patient care treatment planning and documentation, on-the-job training and team coordination. If you are interested in our leadership opportunities, click here to see our current list of positions. Marketing Homecare services where you make a difference! Are you looking for a Sales position where your relationship building skills and experience can be utilized to directly impact the quality of care in peoples lives? At AccentCare, we offer a full-spectrum of services ranging from non-medical, personal care to home health, skilled nursing, hospice care and rehabilitation. Our Sales professionals focus on educating communities on our clinical and non-clinical programs that improve patient outcomes. This allows our patients to maintain their home environment and participate in an on-going assessment of community needs. Whether you are selling Home Health services, building relationships with discharge planners, or consulting with families in Hospice Care, our Account Executives are pivotal in driving the success of our company. Experience the benefits of working for a leading national organization providing growth and advancement opportunities. Be provided training and sales certification in addition to online resources to help ensure you have the knowledge and tools for success. Work with specialty teams focusing on new and innovative service offerings to keep AccentCare on the leading edge of our industry. Receive the opportunity to earn monthly, quarterly and annual incentive bonuses where you are in control of your financial earnings! Every department at AccentCare has a role in shaping the future of healthcare. With a common commitment of providing quality healthcare to our patients, our corporate team has a wide range of backgrounds and skillsets that are an integral part of the foundation of success we've built at AccentCare.